Book your discounted hotel room by Sept. 26! This two-day technical workshop will equip plant and production managers with the knowledge and skills needed to succeed in today's flexo trade shop. A completely unique opportunity, attendees will see flexo plates in action during a live press demonstration at Clemson University! 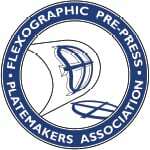 They'll discuss challenges and opportunities for flexographic printing, and they'll also learn about different generations in the plant and how to hire and manage them. Additionally, an industry expert will provide a forecast on flexo, corrugated, and the future. All program sessions are led by Clemson University faculty — a great value for high quality presentations from leading educators in printing and design. Register today!